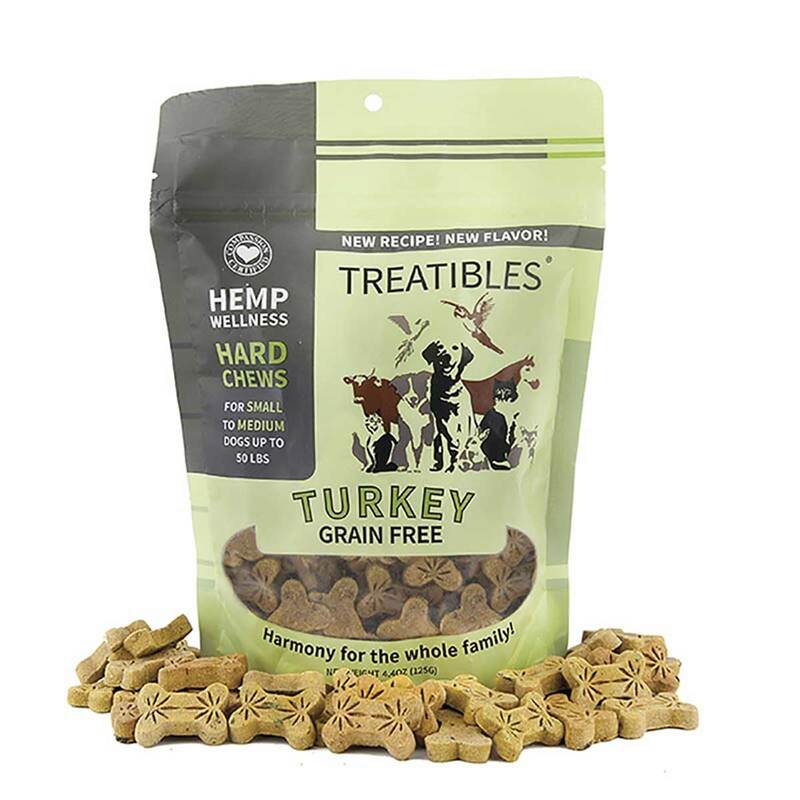 Treatibles Grain free hard chews are made with a proprietary blend of non-psychoactive PCR oil extracted from whole plant medicinal grade hemp grown in the USA. CO2 extraction keeps PCR oil bioavailable and 100% organic as well as safe and effective for all animals. Made with non GMO ingredients and packed with superfoods such as coconut oil, hemp seed oil, kale, turmeric, pumpkin, and blueberry. For Dogs.